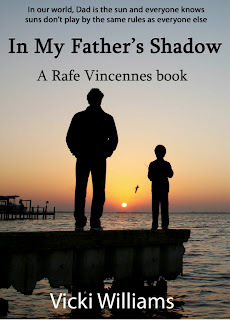 The latest volume in the Rafe Vincennes series is now published and is available at Smashwords or Amazon. 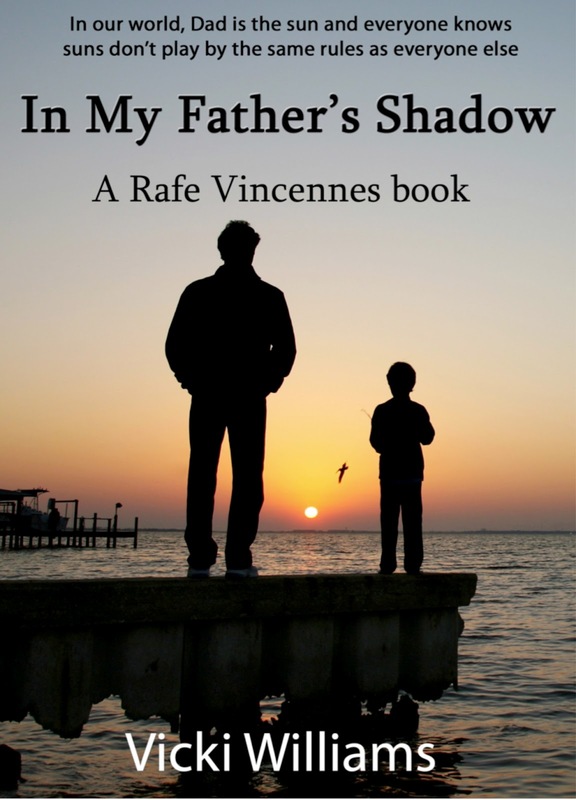 In My Father's Shadow is written from the point of view of Rafe's precocious 11-year-old son, Cameron. The Vincennes housekeeper, Delight, tells Cam and his sister, CeeCee, a childhood story about a courageous king who has to do battle with The Brown Lord to protect his kingdom. Cam sometimes can't decide if his father is the King or the Brown Lord but Rafe just smiles and says they are two sides of the same coin. Cam interviews family members and Vincennes Team Racing members for insights into who his father really is. He even gets the opportunity to talk to Rafe's old second grade teacher, Miss Dee, who first labeled him a sociopath. During the course of the book, Cam is kidnapped and falls in love. He and CeeCee celebrate their 12th birthday in New York when Rafe wins the NASCAR championship for the fourth time. He and his father pay a visit to the small mountain town in West Virginia that was the scene of Cam's mother's brutal childhood. He recounts the media frenzy that follows when Rafe's mistress brings him his two-month old daughter and how that affects the family. After all is said and done, is Cam any closer to solving the riddle that is his father? When does book number 4 come out? You have got me hooked. Getting ready to publish it now. Should be out within a week. And thank you! Can't wait!!! Thank you so much for this character. Again, many thanks. Rafe is fun to write about. He really makes his own decisions. I don't always agree with them but there you go!